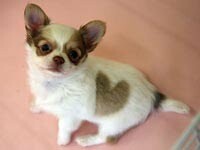 Valentine's Day Special (Part I) - Is puppy love, love? Have you heard about Ice Kacang Puppy Love? It is a bittersweet movie about growing pains from childhood to adulthood - falling in love, and most likely, failing in love for the unlucky ones. I think puppy love is the most failed form of love of all time. It is frustrating, awkward, and embarrassing, especially if your crush does not reciprocate. Having said that, you might ask me, do I have any puppy love history? Well, my first experience of having this kind of inexplicable compulsion to have feelings for another soul was during my university years. I was not 100% sure whether that was infatuation or love or whatever it was, but my grades dropped from mostly As to A minuses (luckily not that bad) during one of the semesters; I daydreamed about him; I doodled his name on my notebooks while attending lectures; I went the extra mile and took extra effort to call him and meet him in person. Well, he does not and would not need to know about this until the day he drops dead. Okay, back to the topic. In the beginning, he hesitated; then he proceeded to respond to my "over friendliness" cautiously. Then, we became platonic. But we never became an item. Our circle of friends sort of knew something was not quite right but we never admitted that we were together. One day, my logical reasoning and senses told me to call it off. He was confused, angry, and would not talk to me for six months and I felt very guilty. Then, due to some incidents that I could not seem to recall, this platonic relationship resumed for another year. However, we were still not an item. In fact, we never entered the boyfriend-girlfriend stage whereby you could hold hands and give hugs and kisses. This must be some sort of cruel fate stuff. One fine day, I finished my degree, graduated, and went away from town. We hardly kept in touch for the next two years. Then I came back to town. He was still as friendly and as caring as he used to be. Now, it was my turn to get confused. I thought he hinted to start a relationship. Little did I know that I would regret this stupidity of jumping into conclusions too soon. He was just being friendly as a FRIEND, not more than that. His heart was already with another girl for the past six months within the two-year period when I was away from town. Three months after he disclosed his true love, they were engaged. Three months after their engagement, they were married. The end. I was terribly confused, gravely hurt, and mortally wounded. I blamed my ultra-sensitivity and his insensitivity. I hid in Singapore for almost one week to sooth my aching and bleeding heart. Heartbroken sucked big time. My puppy love ended miserably, sorely, and ugly. By the way, last month, I heard that they were still renting a house. Wow, they were married for five years and they have not own a house? Last week, I heard that his wife wept during confinement days of their firstborn daughter because she had to take care of the baby alone. Neither her mother nor mother-in-law was around to help her and the confinement lady was not really helpful. I was so relieved that I was not married to him. Not that I'm materialistic but love is not everything. A woman needs bread-and-butter too. Nevertheless, I wish them the best of luck though. So, answering the question, is puppy love, love? I would say, it is love but only to a certain extent. If that puppy love is not the fated true love, it is best and wise to let go, no matter how much hurt will it cause. I'm glad I let go years ago. I really do.